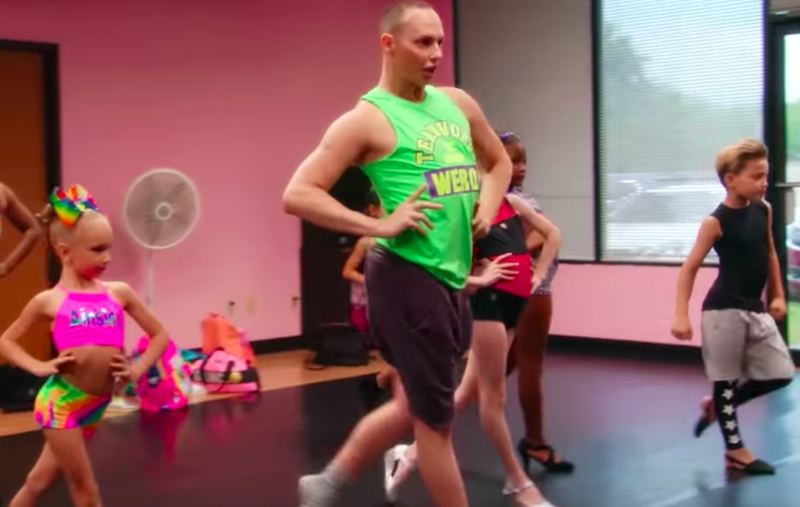 On October 5th, Netflix premiered Dancing Queen—a reality series that follows Alyssa Edwards and the man behind the drag, Justin Dwayne Lee Johnson, at work in Mesquite, Texas and around the world. We watch Alyssa and Justin balance his dedicated teaching career at award-winning dance studio Beyond Belief with demanding dance moms, international drag stardom, his personal life, and the complexities of strained family dynamics. The series, which is streaming in 190 countries, was immediately devoured by Drag Race fans and celebrated by critics. But when we talked on the phone, Alyssa wasn’t only excited about Dancing Queen. There is another project that she has “poured so much of [her] heart into:” Camp TAZO (yes, as in TAZO Teas). Camp TAZO is a “quarterly event co-created by a different celebrity Camp Director,” and Alyssa’s camp session is appropriately called Passion. Through activities inspired by her extravagant and untraditional life, the drag queen aims to help you “spill the tea” and get outside of your comfort zone. You can submit your application to attend Camp TAZO with Alyssa Edwards here, and keep scrolling to read our conversation about dance moms, Drag Race memes, and coming out of the closet. HelloGiggles (HG): Your camp session is inspired by your life, which we are now more familiar with than ever thanks to Dancing Queen. What kinds of activities and workshops can campgoers expect at Camp TAZO? What do you hope they take away from the experience? Alyssa Edwards (AE): Camp TAZO is going to really do exactly what drag did for me: Empowerment from being taken out of your comfort zone. Justin might have been a shy guy, but when I put on that wig, really, every fear, every insecurity, and every doubt diminished. That’s what this camp is geared toward. It’s not just a partnership [with TAZO Tea], it’s a collaboration to help people who want to step outside of their comfort zones but don’t know how. I’m so very beyond-over-the-moon-stoked to be a camp director because, you can imagine, going to camp as a little boy, and now going to camp as Alyssa… This is going to be so full of life. All the activities will be Alyssa Edwards-inspired; good for the soul and good for the heart. One activity will be teaching a choreography lesson. I’m creating another activity to get you sitting by the campfire, roasting marshmallows, and sharing life experiences. I was very private and shy and guarded as kid. Opening up really helped me grow, and I think that I want all the campers to not only leave with a sense of, “Oh, that was a hoot”—I want them to leave with the same motivation that I used to leave camp with. That excitement of knowing you can conquer the world. HG: Dancing Queen provides an honest, vulnerable look at your journey from a turbulent childhood marked by addiction, divorce, and homophobia to an accomplished entertainment career. What do you hope viewers—especially queer viewers—take away from watching you achieve success? AE: I’m grateful that people are really embracing the series because it is really the hallmark of my life. And I hope that young people—well, not even just young people, but people in general—will understand that we all have a purpose in this thing we call life. We all have a place and we all have a past, and it’s very important for us to realize that. You can be hopeful. That is what Dancing Queen is: a triumphant journey. There will be hard times and dark times, but never let your life be thrown out. Be you and be proud. Stand tall. That is the greatest message I think that I’ve shared. And it’s reaching viewers in 190 countries. HG: The show delves into so much outside of Beyond Belief and drag. Was there any moment you were nervous to catch on camera? Deep conversations with your sisters, awkward first dates, arguments with dance moms? AE: I think before I went on Drag Race, I was very private. I don’t think—I know. (laughs) I was definitely guarded. Netflix approached me very gently with this documentary style series, and I knew it was perfect. But I also knew that I would have to open up a lot, and being vulnerable is something I was never really good at because I try to be strong and project this bold, daring persona. So watching the series now, I am so proud of myself. I am proud that I shared all that because there is inevitable judgment in this world anyway. And you know what? I’m still receiving positive feedback, messages, emails—it just lets me know that I can do anything. It’s reassuring. HG: At the end of the first season of Dancing Queen, you try to bring Marcella back on staff to help you balance your drag career and dance studio responsibilities. Besides needing partners in crime, how do you take care of yourself while managing two huge careers? What’s your favorite thing to do when you’re not working? AE: Well, I’ve learned to be a professional juggler. It is important to have a balance, and I can say that I have finally located my missing puzzle piece. There will be no more awkward dates because I am now celebrating one year with my partner. We have a very healthy, happy relationship. And he also teaches dance! He completes me, he understands me, he celebrates everything about me. And I didn’t know if that was something I would be interested in. (laughs) I make sure we take trips, and we are taking the family to Disney in December. It’s very important to have that balance in work and life. But I will be very honest with you. Everything that I am doing is my passion, so honestly, it doesn’t feel like work. Like, I know that today I am going to Beyond Belief. I am eager, I’m excited, I made notes for myself for class today. The kids are going to be on cloud nine when I walk in. It’s just…that’s my home. So I don’t look at that like work. But I do have more of a balance now. And I think that’s key for a happy and healthy life. HG: It sounds like you are making that happen. AE: Don’t dream it, be it. I am definitely making that happen. HG: I was a competitive dancer as a child myself, and even in that brief time, I witnessed the intensity of dance moms first-hand—Dancing Queen definitely brought me back. Did years spent working with these kinds of personalities at all prepare you for the dramatic, hectic nature of fame? AE: I first want to say that I love my dance moms. I love that they are that passionate about it—that’s awesome. I didn’t really have that attitude around me as a child, and maybe that’s why I really respect that. And I appreciate and love them through their good and their bad. With that being said, I believe that this is my intended path, my yellow brick road. And my goal is so much bigger than being a drag queen or a dancer or a drag artist. I hope to be an inspiration. So I do think that everything in my life has definitely prepared me for where I am and where I am going. 100%. HG: National Coming Out Day passed just a couple weeks ago. Do you have advice for readers who don’t feel ready to share their sexuality? AE: Yes. Remember that coming out is just a phrase. I remember when someone asked me, “When did you come out of the closet?” Out of the closet? Well, I didn’t know I came out of the closet. I came out of my mother who loved me unconditionally. And I always reverse the question: “Well, when did you come out of the closet?” I mean, when you think of a closet, it’s a dark, confined space where you store stuff. So coming out is about more than just coming out of the closet as gay—you’re sharing yourself. And you will know when that is supposed to happen. It will feel natural, it will feel right, it will be honest, and you will be proud. Just follow the yellow brick road in your heart because life is beautiful, and it is even more beautiful when you live in the truth of who you are. HG: Before I let you go, we have to discuss how your time on Drag Race birthed some of the internet’s most cherished memes. Do you have a favorite meme of yourself that you’ve spotted online? That’s my favorite. I got that silly look on my face and I am wearing the bandana that all my dance kids made me. I just love that; it’s just so silly. It’s funny and a good reminder of, like, “This is your life.” (laughs) I talk about a dream come true, and don’t get tired of me saying that. Always and forever. Want to submit your application to Camp TAZO with Alyssa Edwards? Follow the link here.